But have you seen Princess Juliana airport on St. Maarten? Looks like the best fun. It's rather too early to speculate, but the Typhoon crash bears tragic hallmarks of G-LOC. There appears to have been no attempt to pull out of the dive and there was no attempt at ejecting either - at least, judging from what can be seen here. I saw an altogether happier display by a Typhoon a few days back. Amazing what a brilliant pilot, FBW, a lightweight airframe, a set of canards and a surfeit of power can do! Reminded me of the BAC Lightning displays of yore. Almost as good! Local police were busy the other day with a downed light aircraft in the Embleton area. perhaps some red faces somewhere, but luckily no one was hurt. 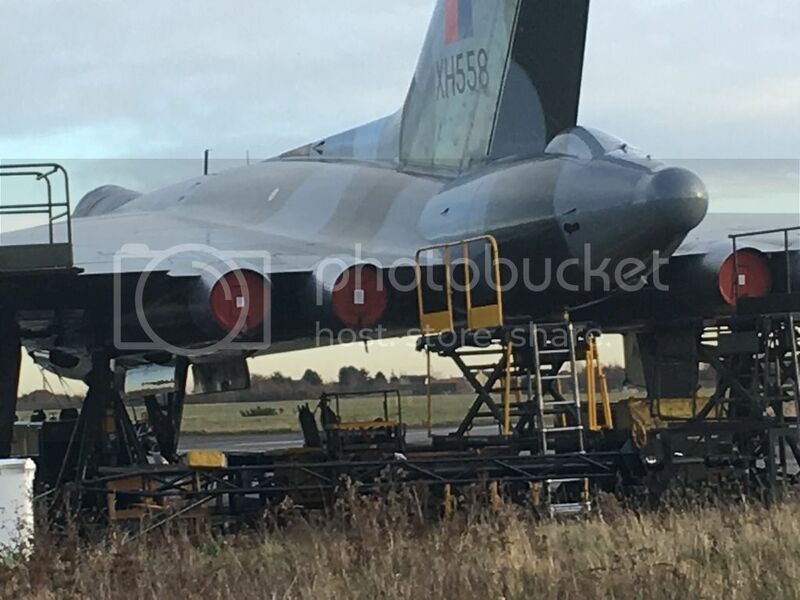 A rather sad image of XH588 as she stands now outside on the apron at Doncaster. Perhaps an abject lesson in how not to do post flight preservation? I found it on the VTTS forums, along with several other images. Lots of angry folk posting over there. After the loss of their hangar, everything has just been dumped outside. They should hop in it early one morning and fly it to Conningsby and give it to the BBMF. That'd be fun on a quiet news day then the RAF would have to decide what to do with it.